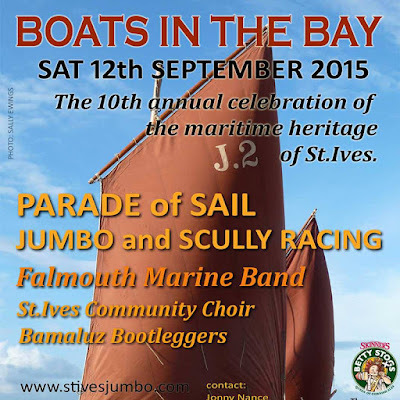 A variety of events in St Ives Cornwall this weekend. World Classics Series - Music Of Iraq. St Ives Arts Club - 7.00 pm. 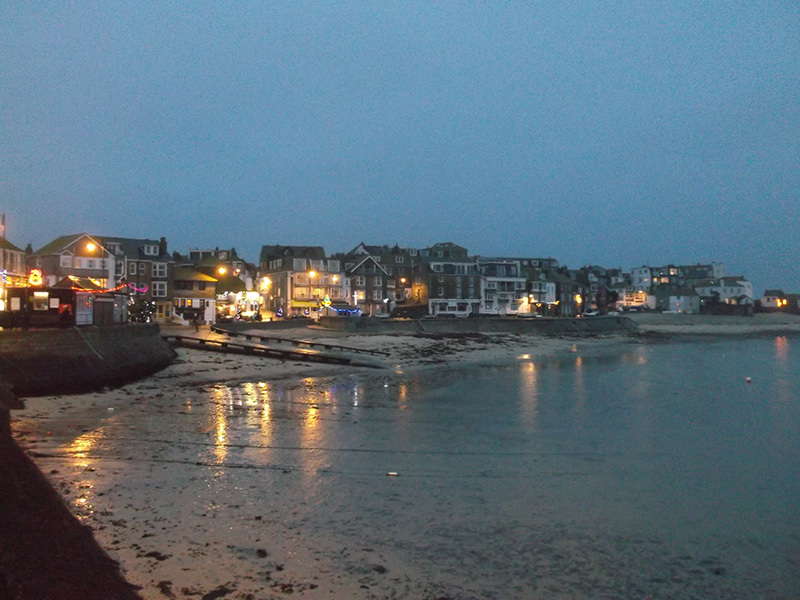 St Ives Guildhall - 8.00 pm. 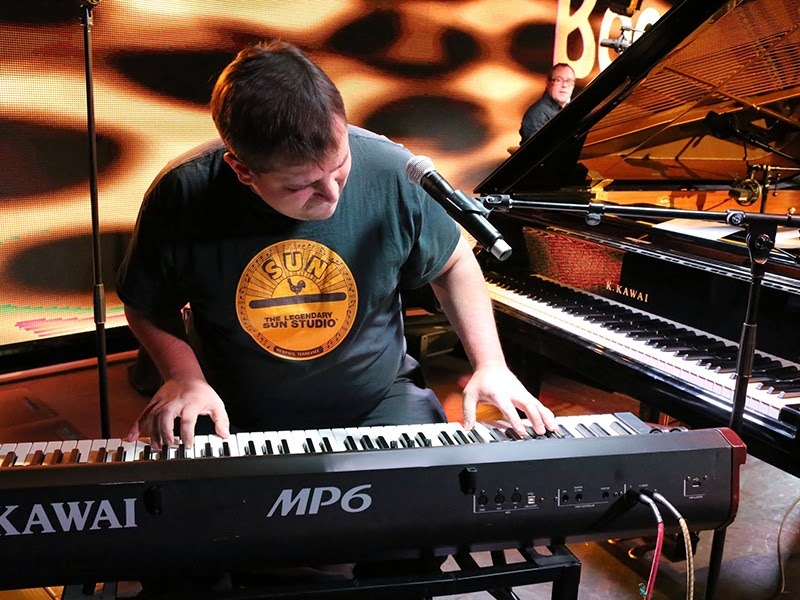 An exciting evening of sublime, eclectic music from across the globe. 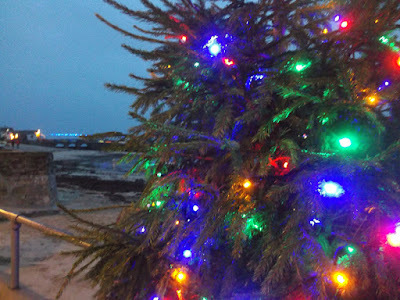 Saturday - 12th December 2015 - two great events for families and kids. St Ives Guildhall - 2.30 pm. The Christmassy Christmas Show of Christmassy Christmasness! Barnoon Workshop - 6.00 pm (meet from 5.00 pm). Celebrating St Ives history and relationship with the sea. A great offer for families - Kids Eat Free. St Ives Guildhall - 7.30 pm. Special Christmas and New Years Eve Markets. 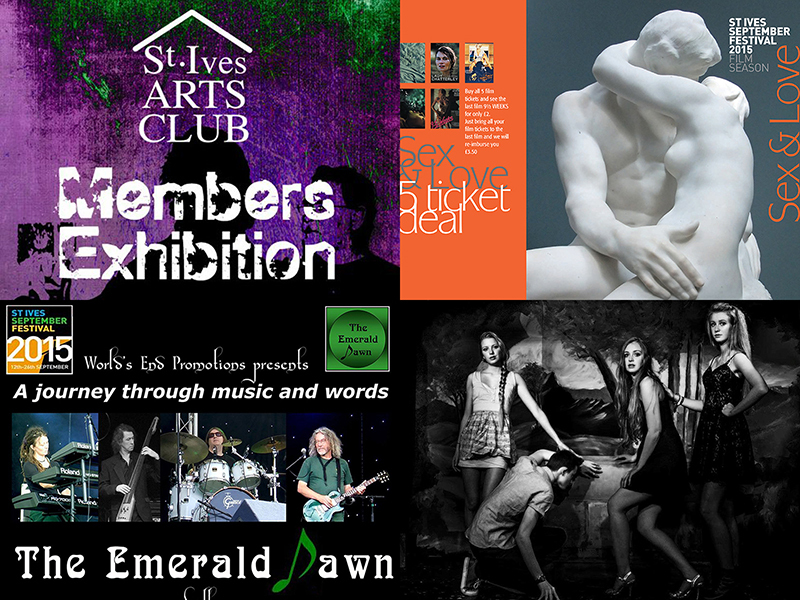 Lots on at St Ives Guildhall - October through to December. Saturday 10th to Saturday 24th September. 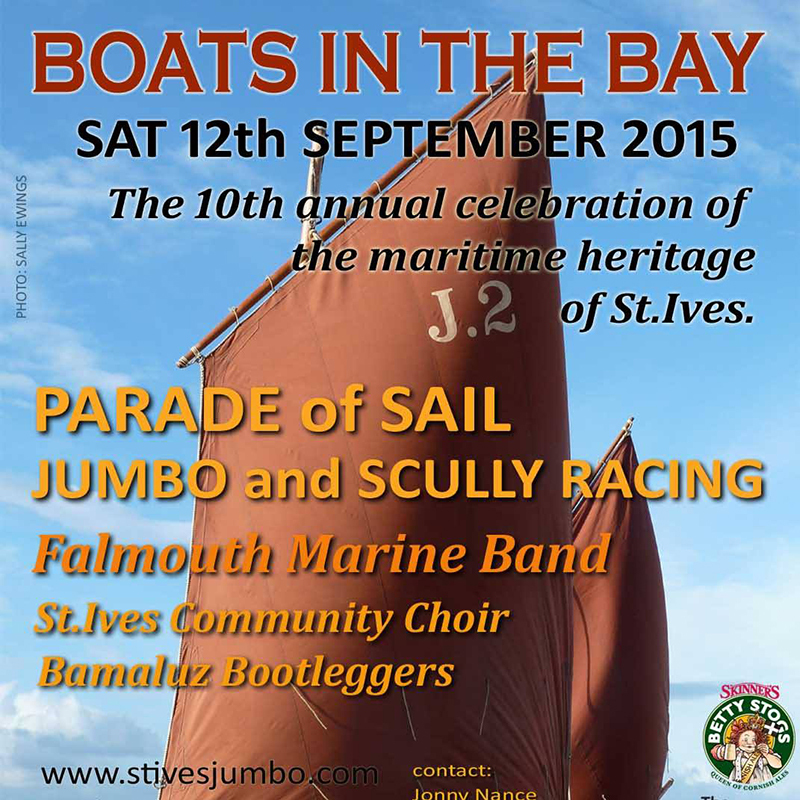 St Ives September Festival at The Castle Inn kicks off on Friday evening (11th September 2015) with Sea Shanty Singers from 8.00. On Saturday (12th) its Boats In The Bay around the harbour - with an after party - and more sea shanties - at The Castle from 8.00. On Sunday (13th) - carvery from 12.00 followed by live music from 3.00 - an acoustic set from Vincent McCallum. Fun Pub Quiz with Aunty Liz is on Mondays at 8.30 sharp (14th and 21st). Entry is free for all gigs - with home cooked food and a wonderful range of real ales on tap. 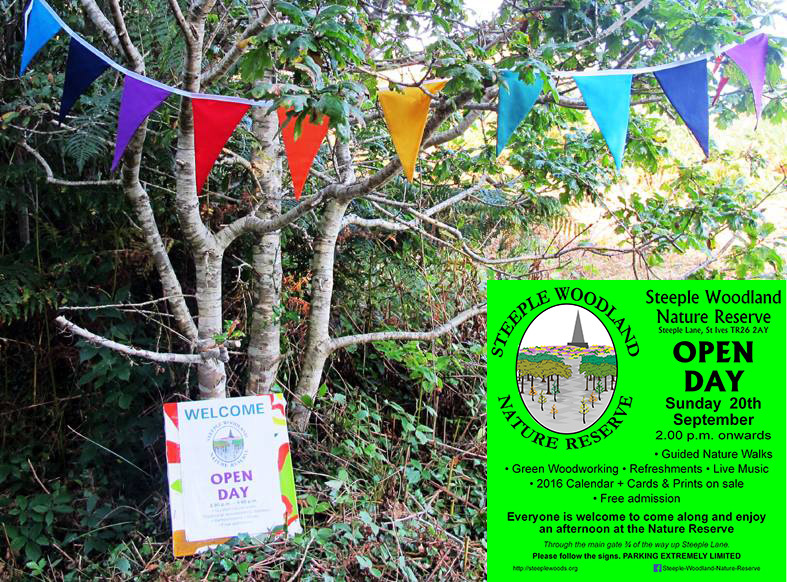 Steeple Woodlands - Open Day. Sunday 20th September - 2.00 p.m. onwards. The Nature Reserve is a 40 acre public open space around Knill's Monument, overlooking St Ives. Entrance is through the main gate ¾ of the way up Steeple Lane. Parking is extremely limited - so please walk or take the bus from The Malakoff. For those who haven't visited before - a historic and atmospheric venue located right on St Ives Harbour overlooking St Ives Bay. 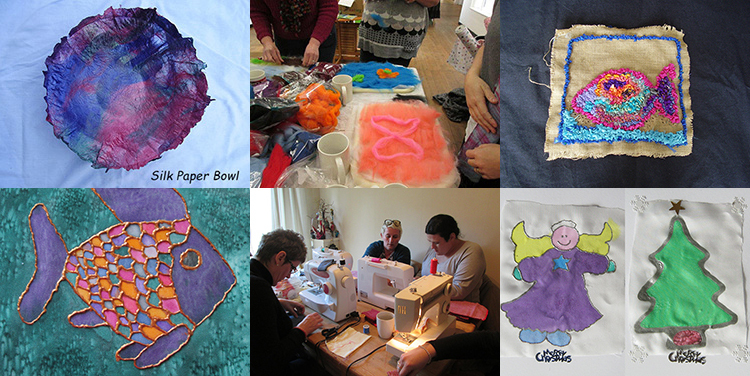 All of Jo's workshops are friendly - informal - and fun ! All ages and abilities welcome - including beginners. 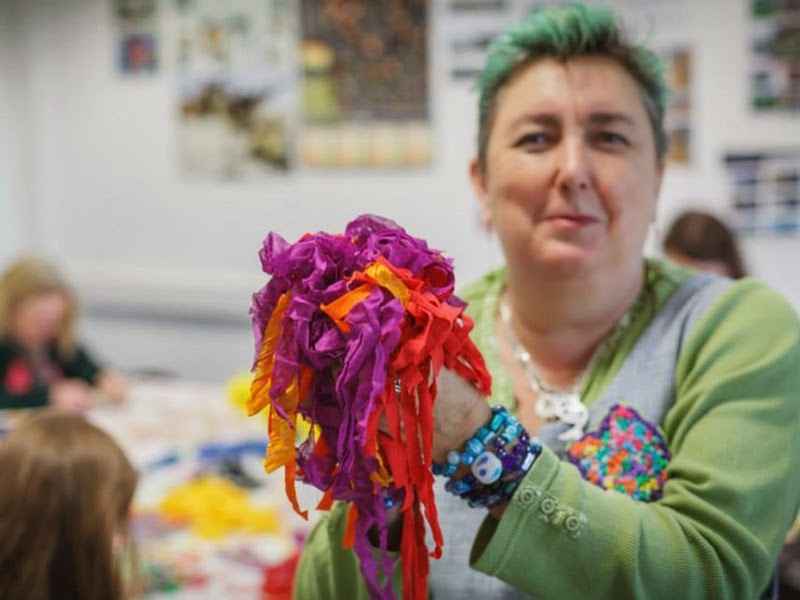 Jo also has a programme of workshops in St Ives running through October - and then Christmas Crafts in November and December. This weekend - Saturday 29th August 2015 - St Ives Lifeboat Day. 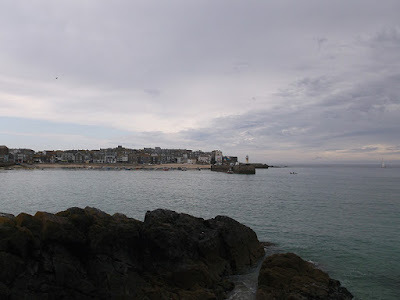 On and around St Ives Harbour - from 10.00 am to 4.00 pm. See the lifeboats - meet the crews. Stalls around the slipway - home made cakes, books, bric-a-brac, tombola, garnd raffle and more. A great family day out and a fundraiser for a good cause. Taste of the West Silver 2015. Fresh local produce - vegetables, meat, fish,Cornish cheeses, bread, bakery, preserves and lots more. A cafe with ample seating - and buskers to entertain you. Well worth a visit - and open every week - not just for the Summer. 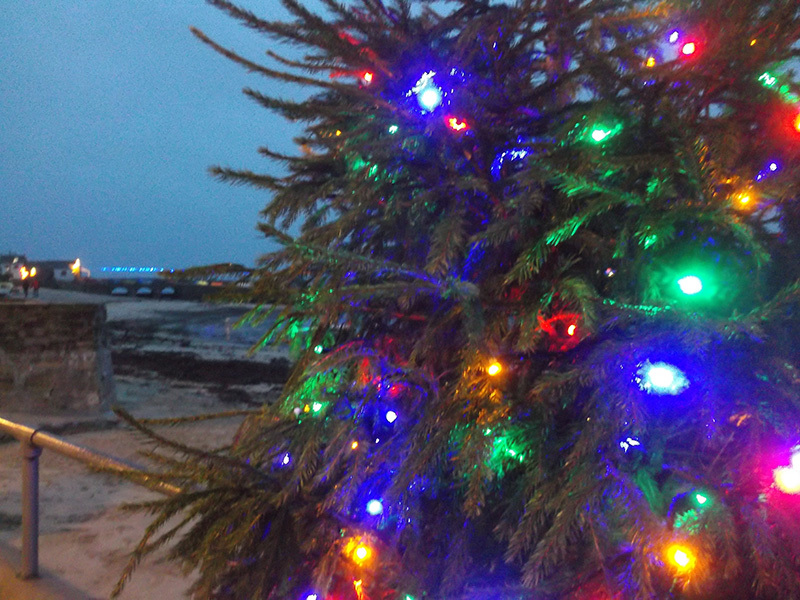 The market will be open on both Thursdays during St Ives September Festival - details of special Christmas and New Year markets will be announced in due course. 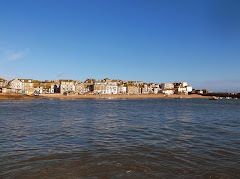 The Summer season has really kicked off in St Ives - and lots on over the coming weekend, next week and through August. 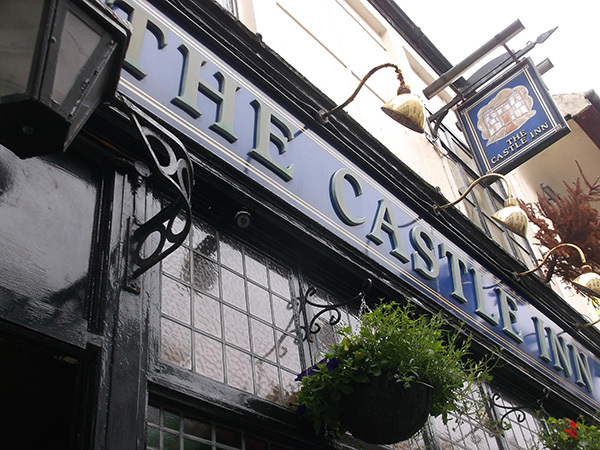 Tonight (Friday 31st July 2015) - 9.00 pm - The Castle Inn. Live music - Paul and Theresa Le'Vis - at the best traditional pub in St Ives. A fun night of sounds from the 60s and 70s. Saturday (1st August) - 10.30 am to 5.00 pm - St Ives Arts Club. 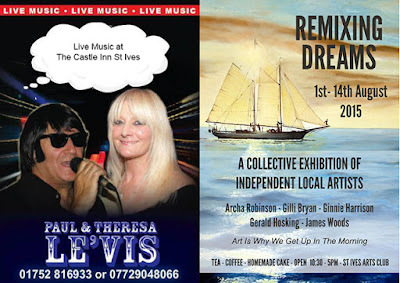 Remixing Dreams - a collective exhibition of independent local artists. Open daily until Friday 14th August. 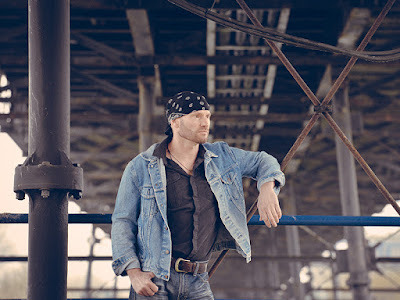 Live music - Liam Jordan. 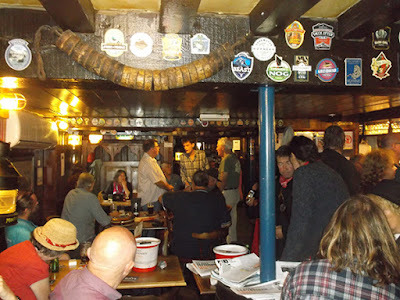 A relaxed afternoon of acoustic music and real ale. Sunday carvery available from 12.00 - 3.00. Members Exhibition - St Ives Arts Club. Also St Ives Biathlon on Saturday. 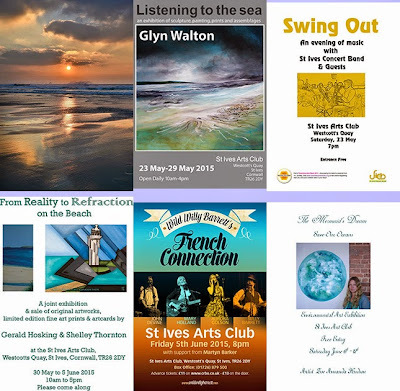 A variety of events at St Ives Guildhall in June. 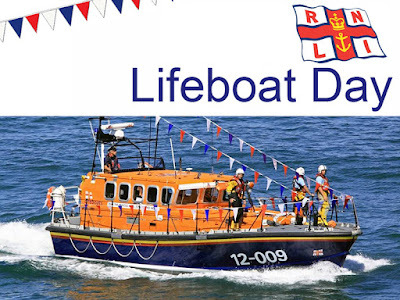 Saturday 20th - 10.00 am - RNLI Summer Fayre. More than 60 real ales, ciders and perries to choose from. 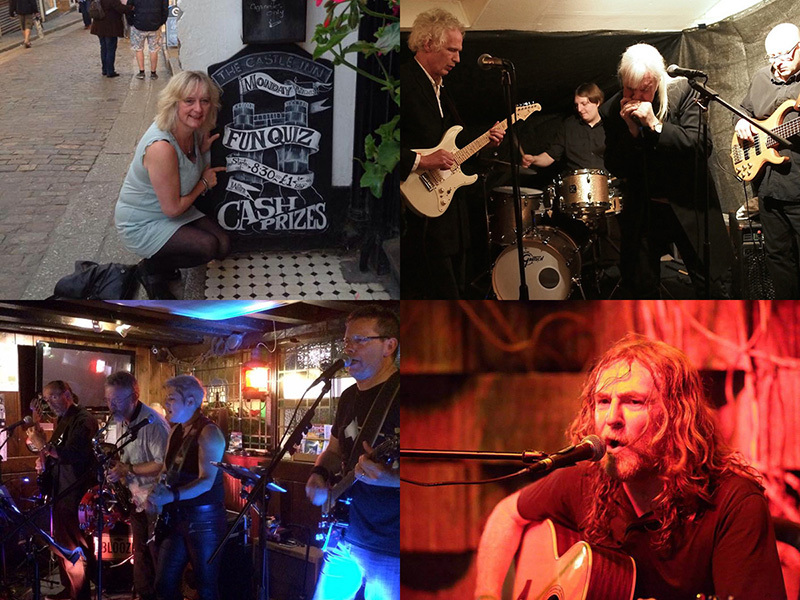 Live music from Zena and the Jazz Warriors, Viv Robertson, Joe Hurworth, The Roosters. Entry is £2.50 (CAMRA members), £4.00 (non-members). 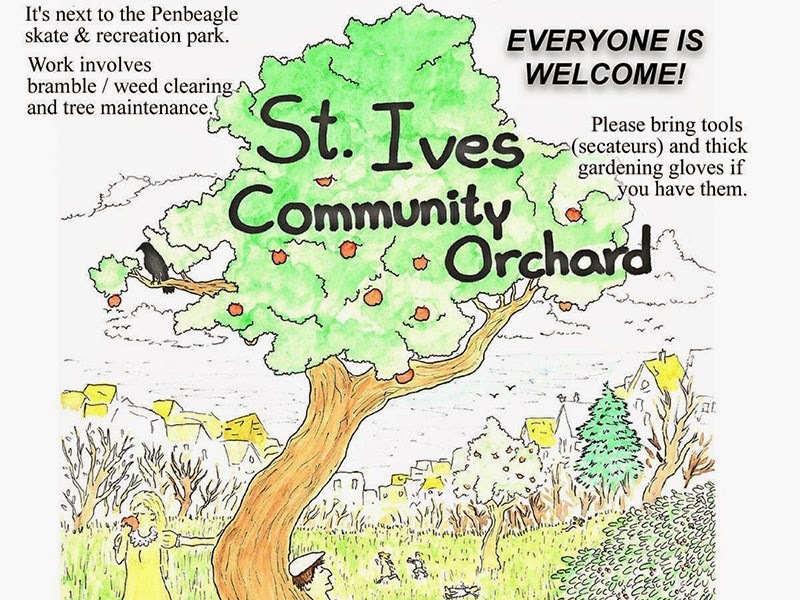 St Ives Community Orchard has over 200 fruit trees and is planted next to Penbeagle Park in St Ives. At the top end of The Stennack - turn left at the Fire Station, go uphill a short distance - the path up to the park is on the right. On Thursday 18th June 2015 - 4.00 to 5.30 pm - they have a Work Party. Please help to maintain this flourishing young orchard for the community. Work involves bramble / weed clearing and tree maintenance. Please bring secateurs and stout gardening gloves if you have them. One and all welcome ! A plethora of events at St Ives Arts Club in May and June. Beautiful images of the Cornish landscape. Saturday 16th - Friday 22nd May 2015. 10.00 am - 4.00 pm daily. Sculpture, painting, prints and assemblages. Saturday 23rd - Friday 29th May 2015. Music by St Ives Concert Band and guests. 7.00 pm - doors 6.30 pm. Gerald Hosking & Shelley Thornton. Saturday 30th May - Friday 5th June 2015. 10.00 am - 5.00 pm daily. 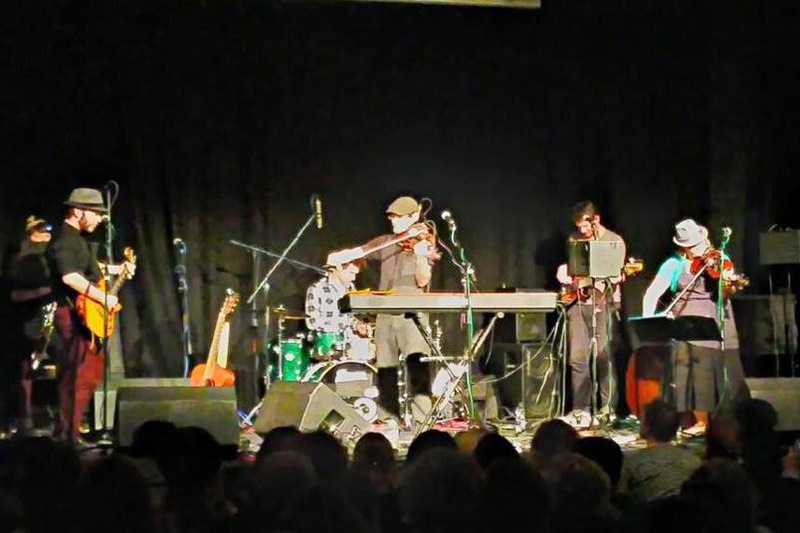 From a cafe in Paris, via a hoolie in Dublin, to a night out in New Orleans with rip-roaring fiddle and banjo – this band does it all! 8.00 pm - doors 7.30 pm. Zoe Amanda Hudson - experience through a series of paintings, story and poetry, the delicate nature of the Ocean. 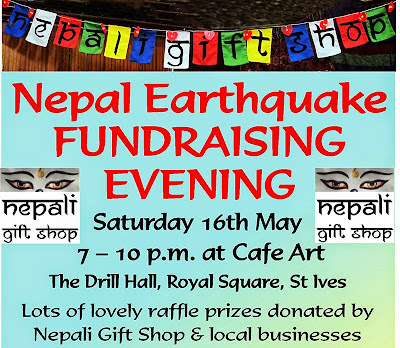 Tonight in St Ives - 7.00 pm - Nepal Earthquake Fundraiser. Cafe Art - Royal Square. Nepali items for sale including Silk and Cashmere Pasminas, Yak Wool Blankets, Bags and Jewellery - sourced direct from Nepal. Raffle with prizes donated by local businesses. Complimentary Ruby June curry, cupcakes, wine. 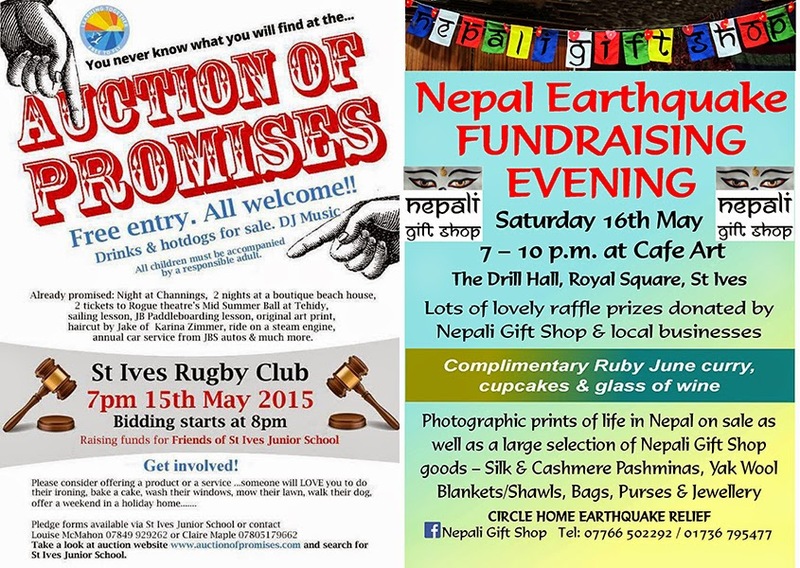 Two community fundraisers in St Ives this weekend that are worth supporting. Friday - 15th May - 7.00 pm - Auction Of Promises. Fundraiser for St Ives Junior School. Lots of items to bid on - donated by local businesses. 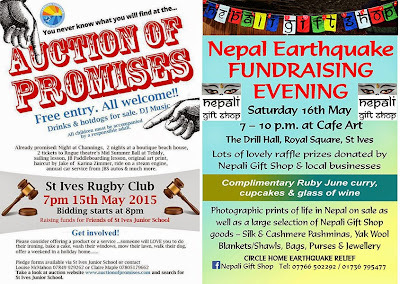 Saturday 16th May - 7.00 pm - Nepal Earthquake Fundraiser. Nepali items for sale including Silk & Cashmere Pasminas, Yak Wool Blankets, Bags and Jewellery - sourced direct from Nepal. On Sunday (10th May 2015) - 2.00 to 4.00 - they have a Work Party. Two events this weekend at St Ives Guildhall that are worth supporting. 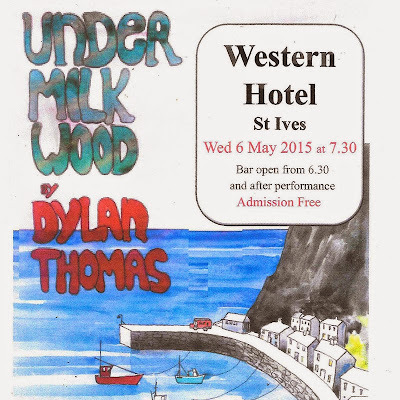 Friday - 8th May 2015 - Fundraiser for Cornwall Hospice Care. Tango in the Night - Music of Fleetwood Mac. Dark Side of Pink Floyd. Four hours of live music. Saturday 9th May 2015 - Friends Of St Ives Guildhall. 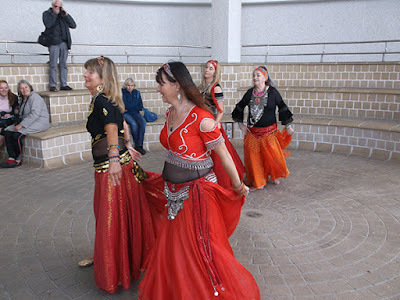 Panta Rei Danse Teater - The House GranNabo. A beautiful, energetic and playful dance performance with five strong dancers from Scandinavia. 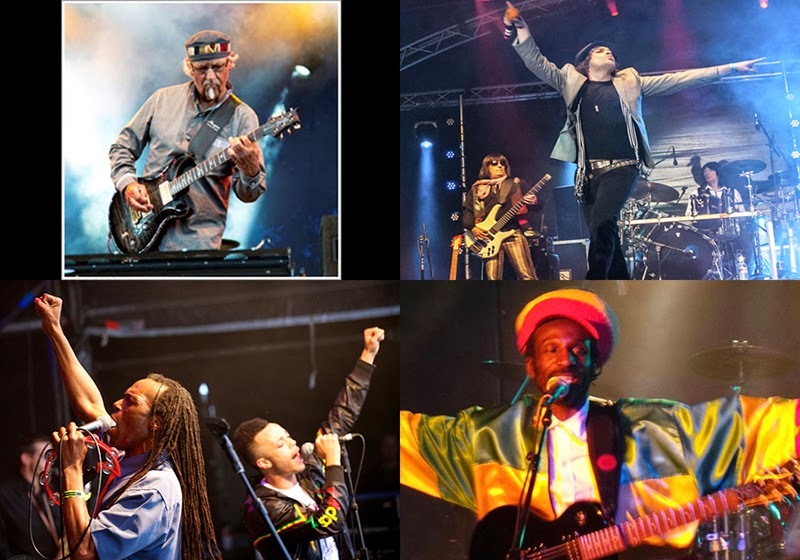 Just announced - a last minute gig at St Ives Guildhall - tonight (Saturday 2nd May 2015) at 8.00 pm - The People's String Foundation - with special guests 3 Daft Monkeys. This gig was originally scheduled for The Minack Theatre at Porthcurno - but was moved to St Ives and indoors due to the poor weather forecast for tonight. 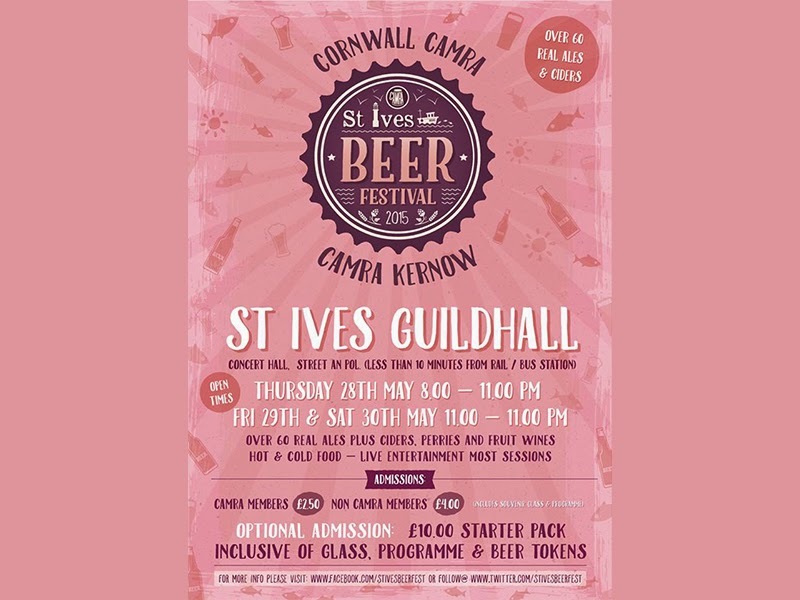 Shelter from the storm - licenced bar by Friends Of St Ives Guildhall and a good time guaranteed. A small selection of the many events in St Ives this weekend. Late At Tate St Ives. 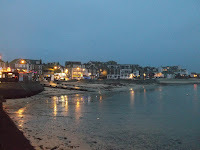 Breton Night - St ives Arts Club. Workshop - Hand Made Paper - Barnoon Workshop. Exhibition - Sally MacCabe - St Ives Arts Club. Guitar for Beginners - Barnoon Workshop. Every Thursday - all year round - St Ives Farmers Market. 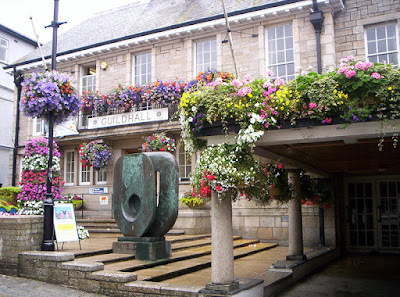 St Ives Guildhall - open from 9.30 am to 2.00 pm. Fresh local produce including vegetables, bread, fish, meat, cheeses, honey and preserves. All produced in St Ives and the surrounding area. Also - some stalls selling local arts and crafts. 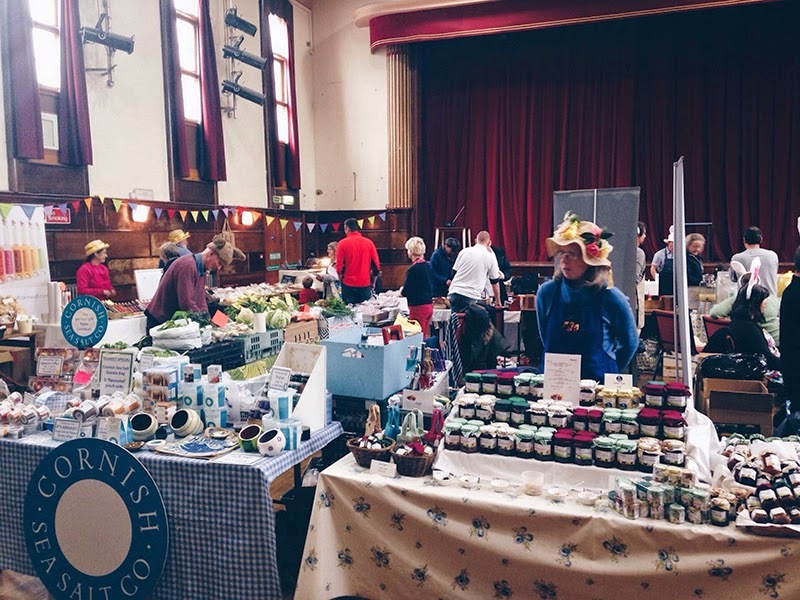 If you've visited before - there are quite a few new stallholders for this season. 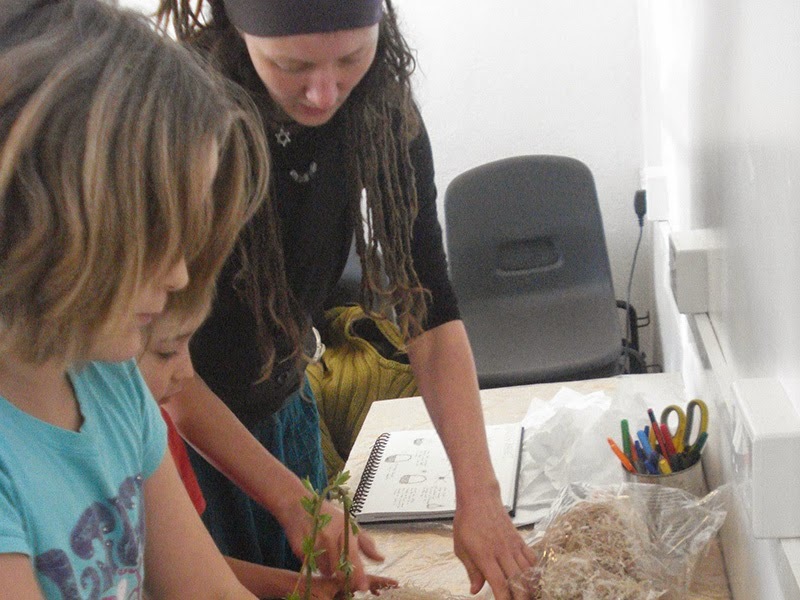 As the Easter holidays draw to a close - still lots of creative and artistic activity in St Ives this weekend. Today (Friday 10th April 2015) - last chance to view the Members Exhibition at St Ives Arts Club. Open from 10.00 am to 4.00 pm - free entry. More exhibitions - Members Spring Show at Penwith Gallery - The Modern Lens at Tate St Ives - Spring Show at St Ives Society of Artists. Open daily - free entry. Galleria St Ives - Tregenna Hill - has acquired some pieces that have not been exhibited for a few years - having been in a private collection. These include work by St Ives artists Bryan Pearce, Roy Ray and Kathy Lancaster. All available for sale - gallery open daily. 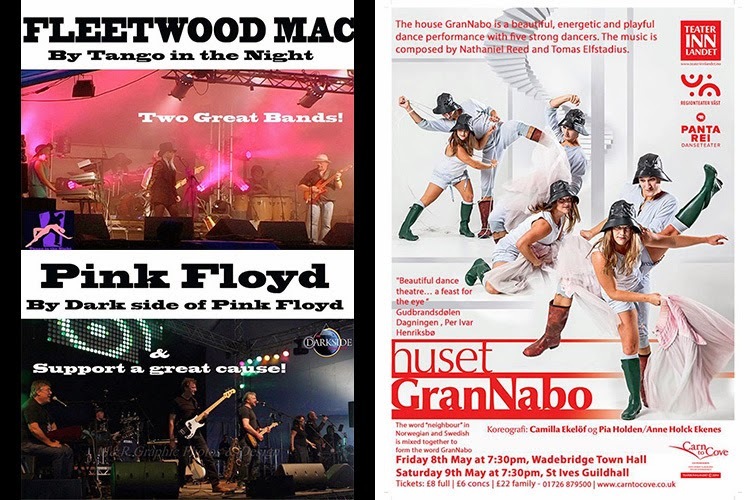 Three great community events coming up this month - at St Ives Guildhall. Wednesday 8th April - 7.30 pm. Stand Up Comedy - Johnny Cowling. Fundraiser for St Ives RNLI. 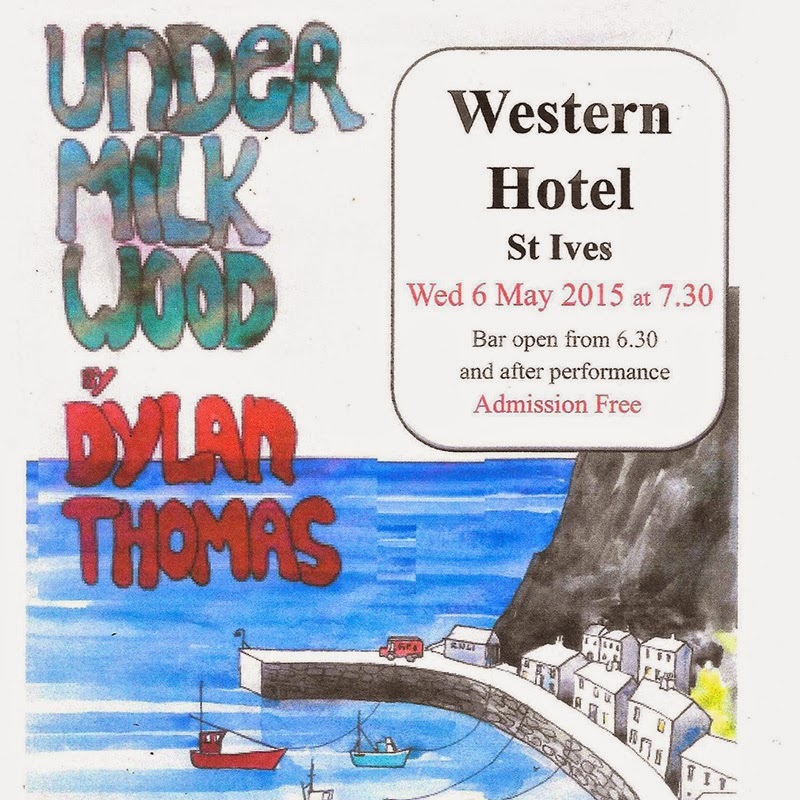 Tickets - £10.00 - from RNLI St Ives Shop. Friday 17th April - 7.30 pm. Mayors Charity Night - Fun and Frolics. Fundraiser for St Ives Salvation Army. Tickets - £10.00 - from The Guildhall. Saturday 18th April - 7.30 pm. 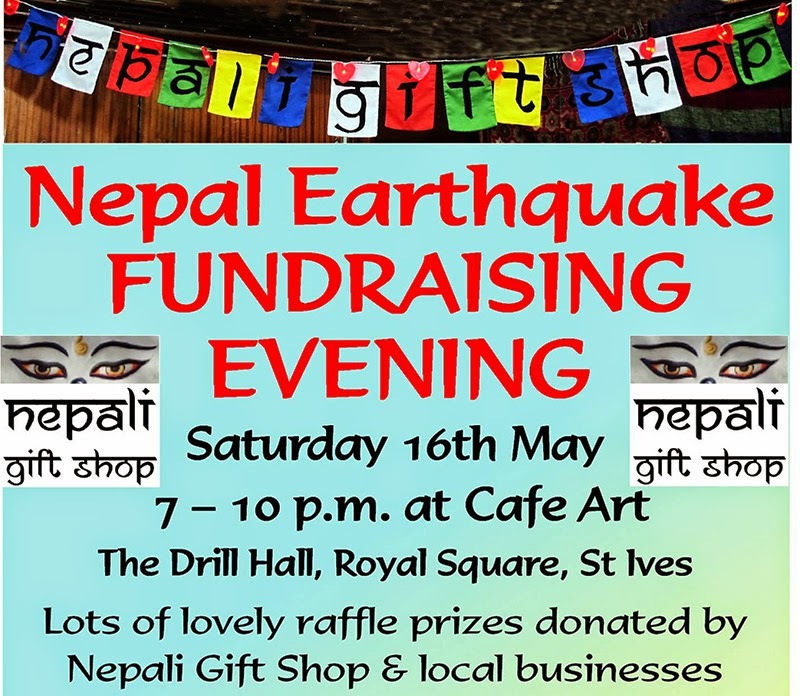 Fundraiser for Friends of St Ives Guildhall. A new Sewing Group / Sewing Class is starting in St Ives on Friday 6th March - 10.00 am to 12.00 noon. It will run every fortnight on Fridays after that. Run by Jo McIntosh - who can provide tuition in hand-sewing and sewing machine techniques as needed. 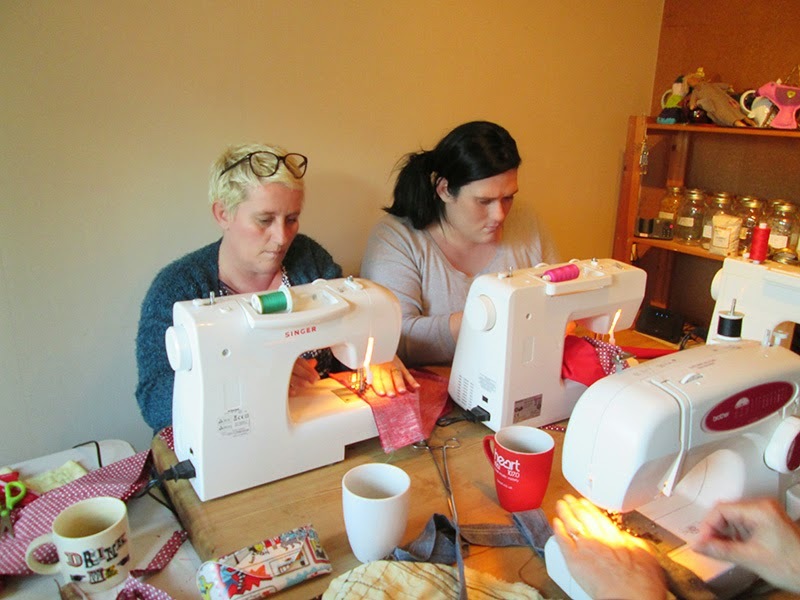 All are welcome at any level of sewing ability - including beginners. You will need to bring your sewing kit including threads, pins, needles and scissors. Also - sewing machine - spare bobbins. There will be a different sewing project each week. A requirements list will be given for each session and Jo will have materials to buy if necessary. Cost: £6.00 per person (excluding materials). 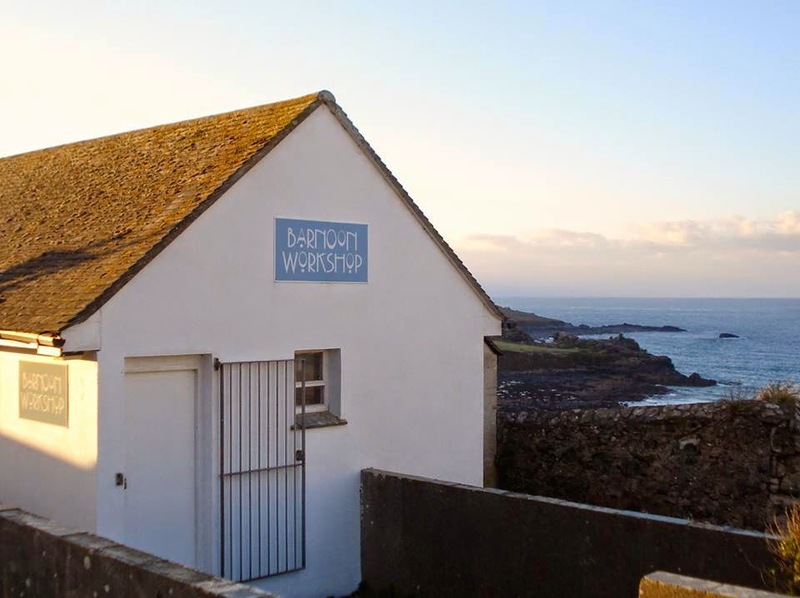 Jo McIntosh is running a series of craft workshops and classes in St Ives through March and April. A chance to have fun, get creative and learn something new. 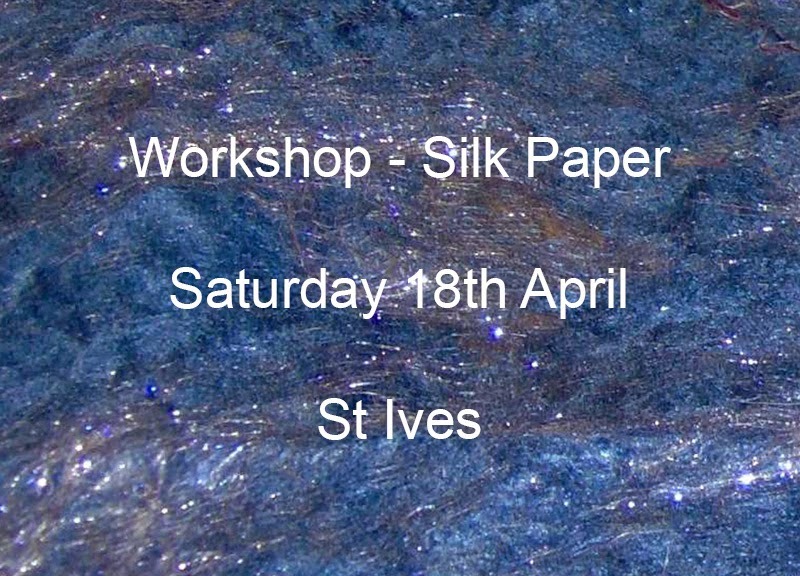 10.00 am - 12.30 p.m.
Come and learn how to recycle used paper into new paper and how to include petals, glitter, threads etc. into your paper. Planning for St Ives September Festival 2015 is moving ahead - with the music programme for St Ives Guildhall nearing completion. The opening days have a bit of a "folkie" flavour - then the focus shifts more towards classic rock and MOBO (Music Of Birmingham Origin!). At least a couple more gigs will be added in the coming days.